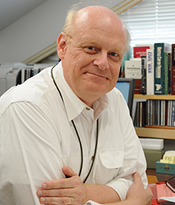 Dr. Allen C. Guelzo is a Senior Fellow of the Claremont Institute, the Henry R. Luce Professor of the Civil War Era, and Director of Civil War Era Studies at Gettysburg College. Dr. Guelzo holds an M.A. and a Ph.D. in history from the University of Pennsylvania, an M.Div. from Philadelphia Theological Seminary, and an honorary doctorate in history from Lincoln College in Illinois.